My name is Terrell Beaudry. I am the President of SOAR Regional Arts. I am writing to inform you that due to licensing issues, SOAR is unable to produce the production of To Kill A Mockingbird. 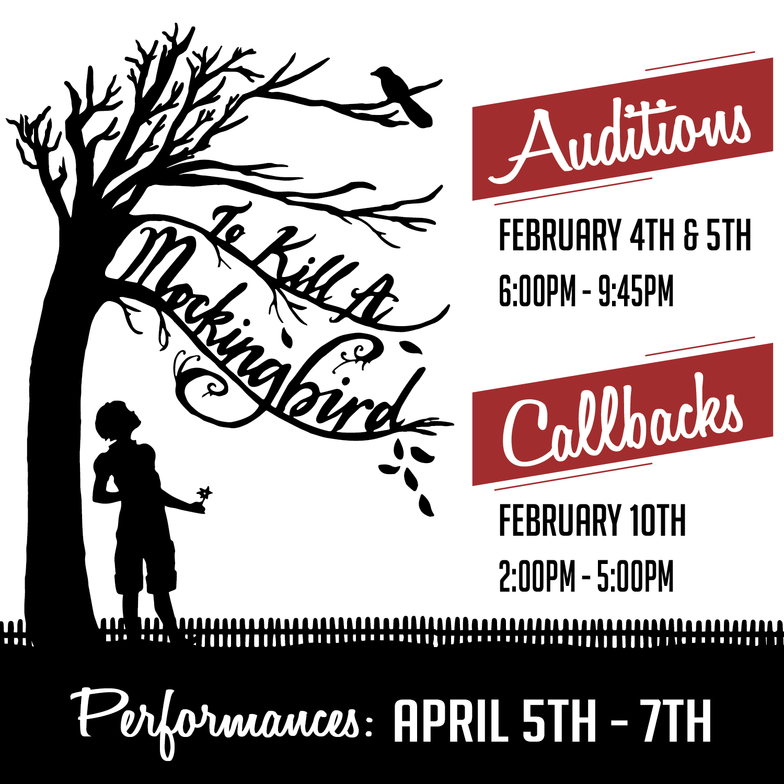 We are sorry for any inconvenience and hope you will consider auditioning for future projects. This was a very difficult decision for us here at SOAR as this story is a classic to share with the communities of SOAR Regional Arts. If you have any questions, then please feel free to email me with the address below.